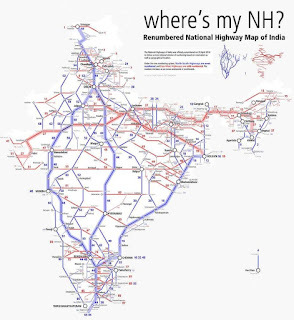 All National Highways have been re-numbered. So now North South Highways are even numbered, and East West highways are odd numbers. Print this map and keep it in your car. 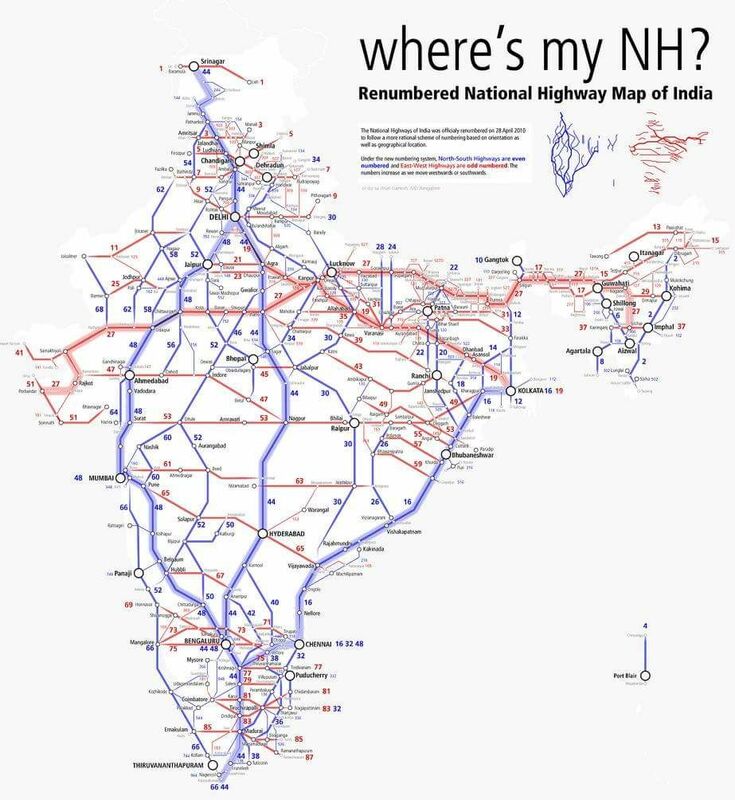 However, disappointed that NH1A Renumbered as NH 44 as GT road was first developed as a highway during Mughals and it deserved NH 1 A tag running from Delhi to Amritar.